Home > Questionnaires > Questionnaire: I Can't Afford Insurance, Do I Need It? A mortgage will be the largest financial commitment you undertake in your lifetime, so it is not surprising that many people try and keep their payments as low as possible. When calculating monthly mortgage payments it is easy to forget and factor in to this the cost of insurance. Although home and mortgage insurance is not a legal requirement in the UK some lenders may require it. These questions should help you prioritise and decide what type of insurance you need for your home. 1)	How Large Is Your Mortgage? 2)	Is Your Home In A High Risk Area? 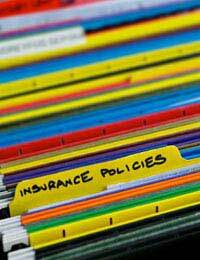 3)	Does Your Mortgage Insurance Specify You Need Insurance? 4)	Are You At Risk Of Losing Your Job? 5)	Do You Have A Lot of Valuables in Your Home? It sounds like you would be taking a large risk if you take out a mortgage without insurance. You might think that you are saving a few pounds a month, but if trouble strikes and your home is flooded or burgled you could end up paying out more than you save. If you are trying to cut down costs you may want to look elsewhere at what you can cut, such as your food bill or other insurance policies. If you also fear losing your job you may want to consider taking out mortgage protection insurance as this will help pay your mortgage if you lose your job. Many mortgage contracts will specify that you need buildings insurance in order to get your mortgage, if this is the case though they may be able to combine this with your monthly mortgage payments so you don’t notice the added cost. Mortgage lenders will always advise you to take out buildings insurance with your mortgage because this projects them as well as you. It will cover you for any structural damage or any accidental damage. It is really not something you can skimp on and you should not consider getting a mortgage without it. If however you don’t have much cash and need to save costs you could only get buildings insurance and not the contents insurance. In practice though a lot of buildings insurance policies will come hand in hand with contents insurance so you will only be saving a few pounds by taking out just the one. From your answers it seems like you may be able to afford to not take out contents insurance and mortgage payment protection insurance, but buildings insurance will still be a must. If you don’t have a large mortgage it may be unnecessary to take out protection for your mortgage. Also, if you only have a few possessions that are not valuable you may decide that you want to risk not having the insurance and just cross your fingers that nothing happens to your possessions. Unfortunately owning a home comes with risks and what you have saved and worked hard to pay for could just as easily be destroyed if something where to happen to your home or you were made redundant. It would not be wise to take out a mortgage unless you can afford at the very least buildings insurance. Some lenders may be able to offer you a deal where the insurance is combined with your mortgage payments, so if money is an issue the lender may be able to help you.